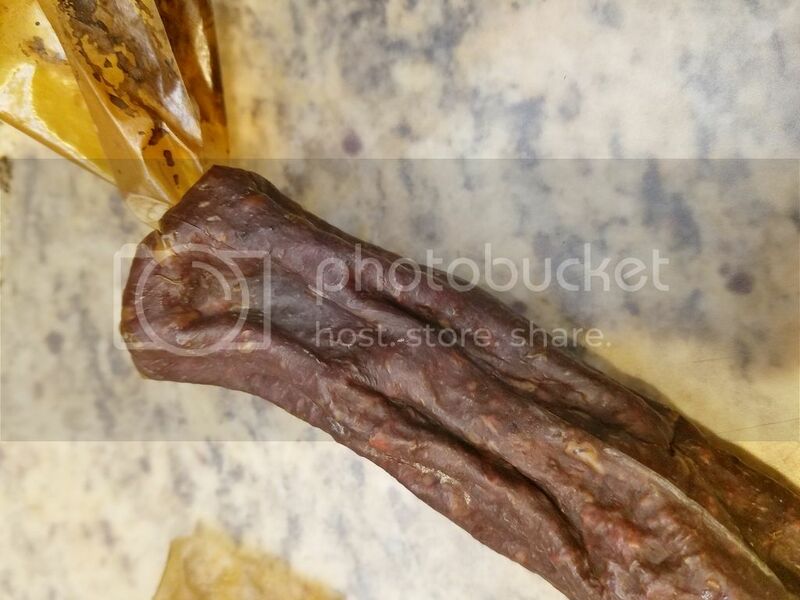 www.sausagemaking.org • View topic - Deer Sausage- Hard and Sunken In? 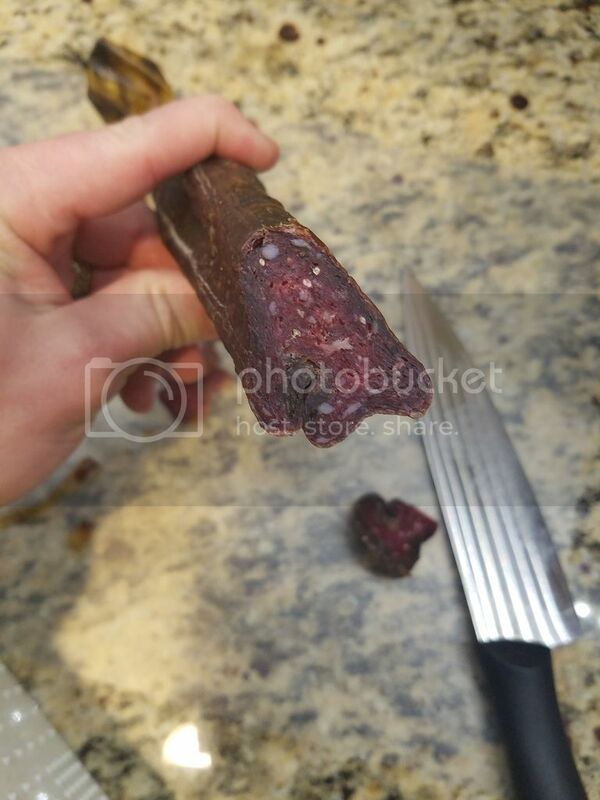 Deer Sausage- Hard and Sunken In? That is the process they used. Here are some observations by me but I’d love to see what everyone else’s thoughts are. •	Since it was hung in a non-insulated garage, the humidity was not even close to where it was supposed to be and ran very wide ranges of temps. Had to keep lights on it just to try to keep it from freezing. What are your thoughts? Why so sucked in and caved in? Fat content? Personally, I prefer 2.5” fibrous casings but collagen casings should have worked fine. 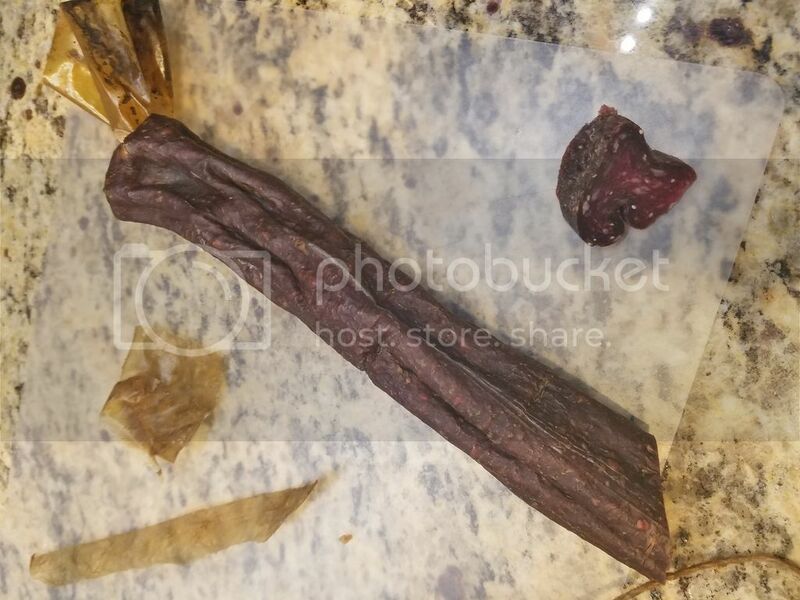 Re: Deer Sausage- Hard and Sunken In? Do I have this in the right section? A long overdue welcome to the forum. This section is fine for your question, I'm just not sure anyone has a good answer for your questions. It is maybe that this sausage falls into it's own class. 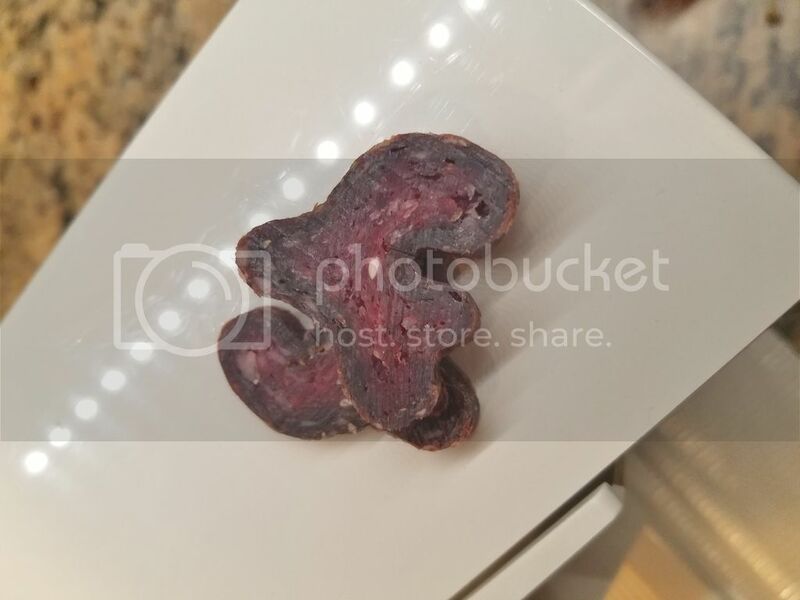 Summer sausage is normally a lean, cooked, semi dry product; this seems to be not quite cooked (which would set its dimensions) and then over and rapidly dried. Without any fermentation step, this severe drying would likely collapse the structure. 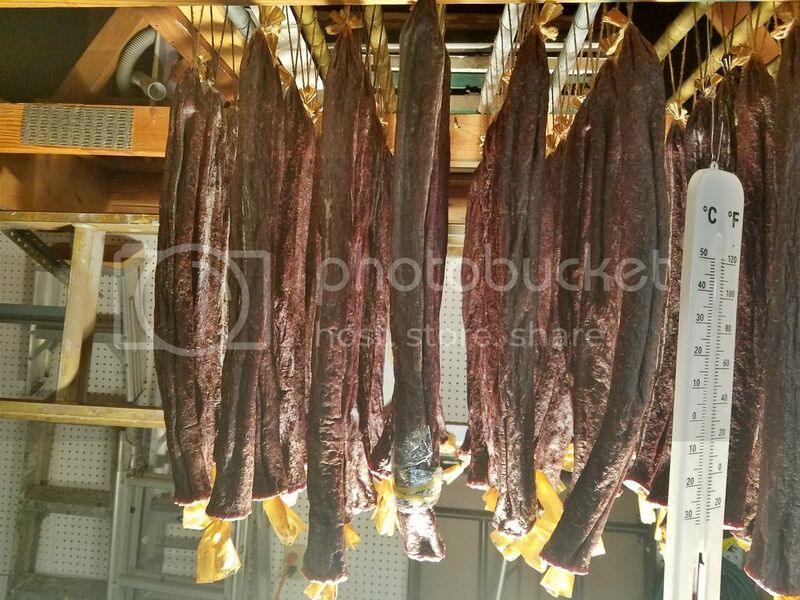 My best advise would be to ferment the sausage, hot smoke to a cooked temperature, then hang to dry for a short period. I can't add to what both you and NCPaul have said, but want to add my welcome to the forum.